Here we like teaming up coercive patterns in families (e.g. domestic abuse, parental alienation) with those outside families (e.g. cults, terrorism, scams). All of them are an alienation experience. Teaming up means we can campaign more powerfully. 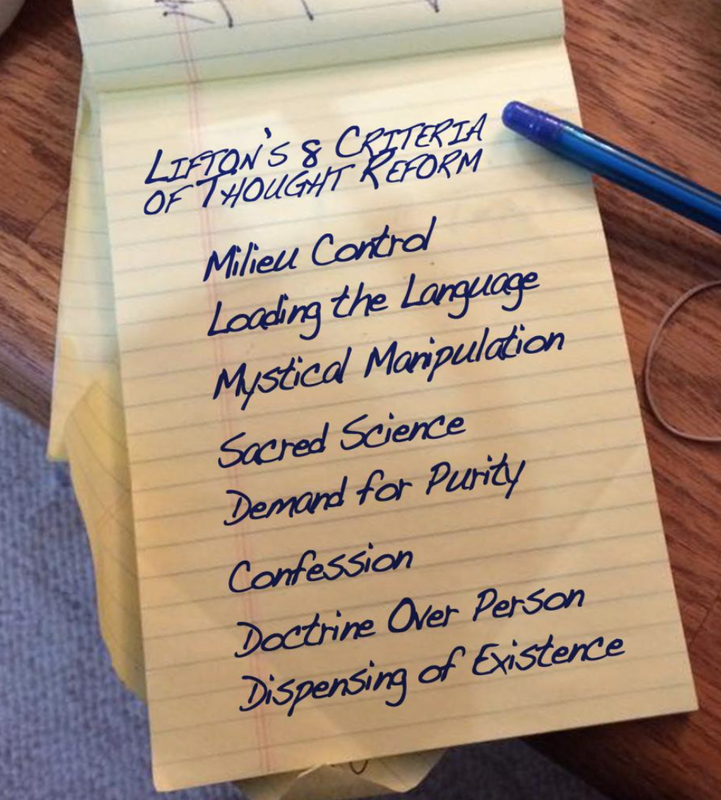 At first sight, Robert Lifton’s list of features of brain-washing in cults doesn’t really look right for family coercion. 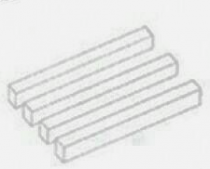 But a second look shows how well they fit. Robert Lifton is an original and still one of the best thinkers in the field of mind-control cults. 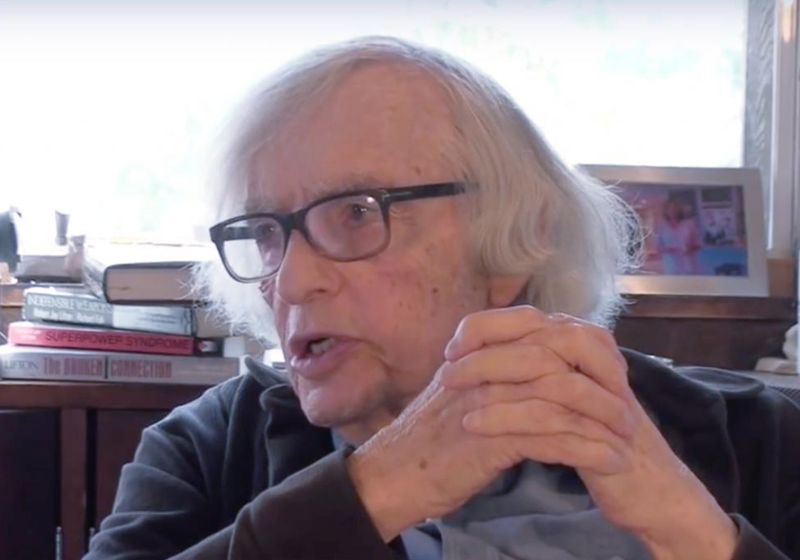 His 1961 book Thought Reform and the Psychology of Totalism: A Study of Brainwashing in China is still a classic in that field. And his list of eight key features too. Spike Robinson freshened up Lifton’s list for this Open Minds Foundation blog. The ‘Eight Criteria of Thought Reform’ are superbly clear. The list fits cults brilliantly. But it’s a bit “Myeh ..” for those of us who are interested in harmful coercive patterns in families. What can we do about that then? Stand by for some magic! There are lots of sub-specialisms in the broad field of patterns of harmful coercive persuasion. The legal term Undue Influence is apt and now used for the broader field too. That field includes things like cults, terrorist groups, trafficking, scams, domestic and child abuse, and parental alienation. See the OpenMindsFoundation.org for more on that wide range and on teaming the field up. There is absolutely every reason why each of those sub-specialisms of Undue Influence across the broad range should have its own specialist study, language, practitioners and networks. There are indeed differences to explore and respect. But aspiring to be an integrated field naturally invites us to compare, contrast, converse and condense. The most famous family specialist to make the connection between family coercion and cults is Amy Baker in her book Adult Children of Parental Alienation Syndrome (2007) and even more in her paper: The Cult of Parenthood (2005). Taking that comparison further, we find quite extraordinary similarities across all Undue Influence patterns. Sometimes the words obscure the similarities. We don’t want to get rid of important differences. But we do want to make any connections we can behind our different words. So let’s have another first and second look through Lifton’s list with this similarity / difference focus in mind. Will we find the extraordinary similarity lurking right under Lifton’s list if we lift the lid on it? …. But first a more general detour through cult words that at first don’t seem to work for families. Coming into the field of Undue Influence from the direction of the family versions of coercion, some of these words ‘over the main entrance door’ don’t feel right. If we feel: “This isn’t really about families”, the shame is that we may not even bother to come in the door. We walk on by. For example, even the use of the word ‘mind’ can turn us off. ‘Mind’ is essentially used in ‘Open Minds Foundation’ and in Steve Hassan’s ‘Freedom of mind’ website and book. ‘Mind’ is right for grown ups, but doesn’t quite work for children or in intimate relationships. And when we say ‘mind control’, the ‘control’ doesn’t quite fit for families where there isn’t always the same sense of conscious control, of doing it purposely. What happens is more just the way the family works. When we quite rightly promote ‘critical thinking’ as a counter to Undue Influence, that too that doesn’t quite fit for families. For example, with children suffering harmful influence by their parents, there are differences to the (usually) adult recruits of cults. Part of this holding back is that wider society generally expects parents to influence and control their children. Couples are also expected to keep private about any struggles in their intimate relationships. So most societies are half way to encouraging an alienated distance before any coercive family member puts the tin lid on it. Somehow in families it isn’t ‘thought reforming’ and ‘mind control’ that are going on but ’emotional forming’ and ‘relationship control’. ‘Reform’ implies that a child had a prior personality to be reformed, when children may often ‘form’ within their given family from birth. They don’t know and have never been any different. Recruiting versus falling in love?! Another difference is that word ‘recruit’. When you fall in love, you don’t think of it as ‘recruiting’ each other. Children are born not recruited into families. Coercive family members don’t need to go and recruit anyone. Their victims are right there, dependently in place. Of course, that healthy function in families – to help and positively influence children to grow in their own way, develop their personalities and their independent minds and critical thinking – that is why it is so serious when a parent blocks their child’s development with harmful Undue Influence. That is why coercive persuasion is so psychologically and emotionally harmful and abusive to the child. Anyway, for those of us primarily interested in the intimate relationships of families, and in younger children and adolescents in them, words like these can put us off when we see them ‘over the front door’ of organisations and websites like the Open Minds Foundation. We don’t tend to think in terms of ‘recruitment’, ‘mind’, ‘control’, ‘thought’, ‘reform’, ‘ideology’, ‘authentic vs cult identity’, ‘critical thinking’ and so on. Those all happen of course. But the words we go for are more about relationships – about emotions, attachments, and alliances. Once we get inside the front door though, and think about it some more, you quickly see more of what Amy Baker saw. We see how closely matching the patterns are. For example, the idea of ‘recruitment’ in families is useful – even to the point of classifying Undue Influence within the framework of recruitment. So, with that in mind, let’s have a look again at Lifton’s list of features. This exaggerates only a little. Those main headings are all a bit too ‘culty’, aren’t they? But. If you list the sub-headings from Spike Robinson’s Open Minds Foundation blog, we get Spike’s more ordinary, less technical way of saying it. She’s put the sub-headings in quotes too, as if a person is saying it, not some academic giving it a label. Isn’t that amazing?! Take away the headings that put family specialists off, and – hey presto! – you have a unifying description of how both cults and coercive families function. Magic! We’ve made the culty list into one that attracts family specialists to actively want to come on in and learn some more! Just to be clear and repeat, this magical transformation of Lifton’s list doesn’t mean that everything is identical across the broad field of Undue Influence. You wouldn’t expect those who know about how to help loved ones in cults to be able to swap over with those who help families with domestic abuse or parental alienation. But we can presume that all of us in this field live in the same street, and that we want to be really good friends with each other as neighbours. We want our doors always to be open to each other. 2. A vampire who psychologically seduces the victim to focus solely them , drains them of their life’s blood, then discards them for another when they no longer have use of them. 3. Children become the parent’s puppets. The parent is the puppeteer pulling their strings. Only the puppeteer is responsible for the puppets words and actions. The seven conditions listed by Margaret Thaler Singer in her book Cults in Our Midst with a foreword by Lifton is something I have referred to many times when I have been in Swedish court and followed up my written reports on PA in different cases. everyone who asks that it is the child´s own will to stay with that parent, and to have nothing to do with the other parent. I’m pleased to see some interest in comparing the language that describes cult dynamics and parental alienation. In PA, children’s love is manipulated to devote complete loyalty to the parent who is recruiting the children in a campaign of denigration to sever a once love bond with the rejected parent. Children are recruited into an enforced dependency relationship with the alienating parent. Re: Cults, I think it may be safe to say “all” cults, demand that (recruited) members sever their relationships with their families at some point during the indoctrination maintenance stages. These families are completely alienated from the adult child or sibling or relative who is a member. The family alienation in ideological/psychological totalistic exclusive high demand groups seems very similar in PA dynamic cases. I think the differences between PA and cult dynamics are a matter of the differences in their contexts. Thank you for your interesting posts as well as introducing the cult information and parental alienation. Nick- I can’t thank you enough for posting this link. I am in agreement that Lifton’s lifetime of contributions holds tremendous value to the fight against PA and all undue influence!! l watched & was intrigued with all three interviews [this Steve Hassan blog has the three interview links in it]. I learned a tremendous amount to help with my own personal battle, as well as any effort I should pursue for all! Additionally, your site is one of the best I’ve seen on the subject with regard to “educating oneself!” Thank-you, Thank-you, Thank-you for sharing!! !